For a European country, Spain is actually one of the more budget-friendly locations you can travel to. But even when comparing it to more expensive destinations, it’s still possible to fritter away your holiday fund if you’re not careful. 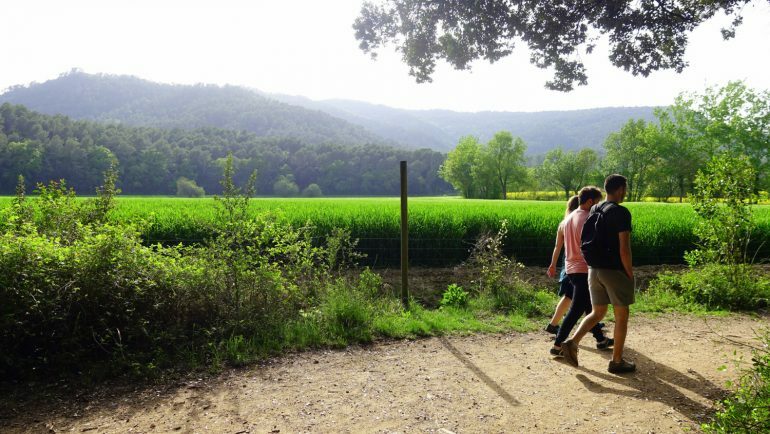 We were in Costa Brava, a region of Catalonia in northern Spain, there to experience some exciting activities and pursuits aside from the usual free walking tour! Of course, if you want to enjoy “extras” on your trip (such as skydiving and rock climbing for example), you’re going to have to tighten the purse strings elsewhere! Girona, Spain. Not a bad home for the week. So, with that in mind, we decided to put together some tips for holidaying on a budget in Spain, significantly influenced by our recent experience. 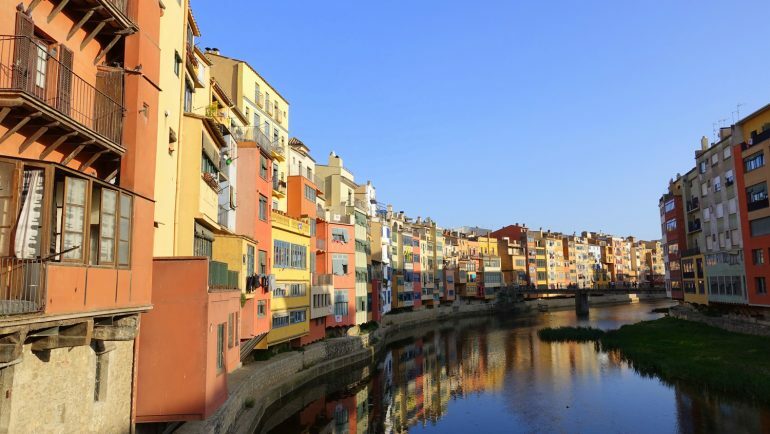 It should be noted we were using Girona as a home base, so these tips are more suitable for those who won’t be moving around so much. 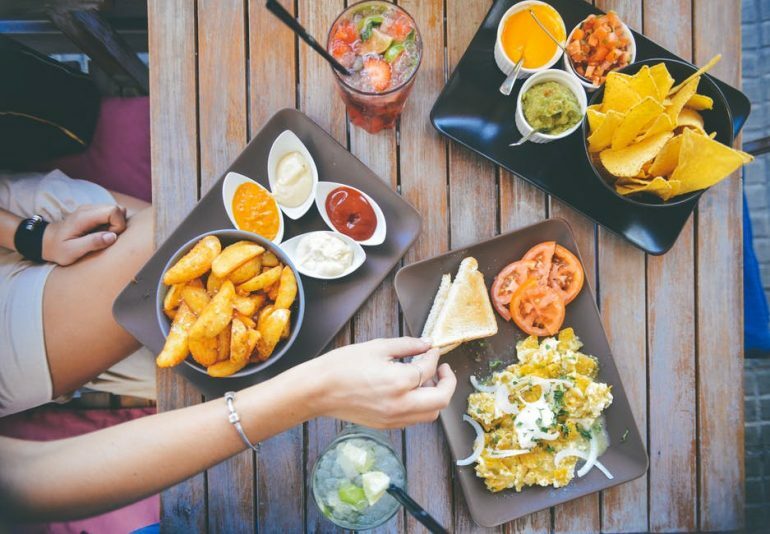 Like most countries, it’s perfectly possible to have a really good time here without spending a small fortune, so read on and discover how you can still enjoy the fiesta without breaking the bank. Or “el banco” as they say in Spain! The trains in Spain are mainly a pain. At least, for budget-savvy travellers that is. While the train network is excellent, it can be very expensive, but regardless, many people still prefer the system over buses. Travelling by bus is considerably cheaper, but it’s not the easiest solution and can get confusing as well as uncomfortable. 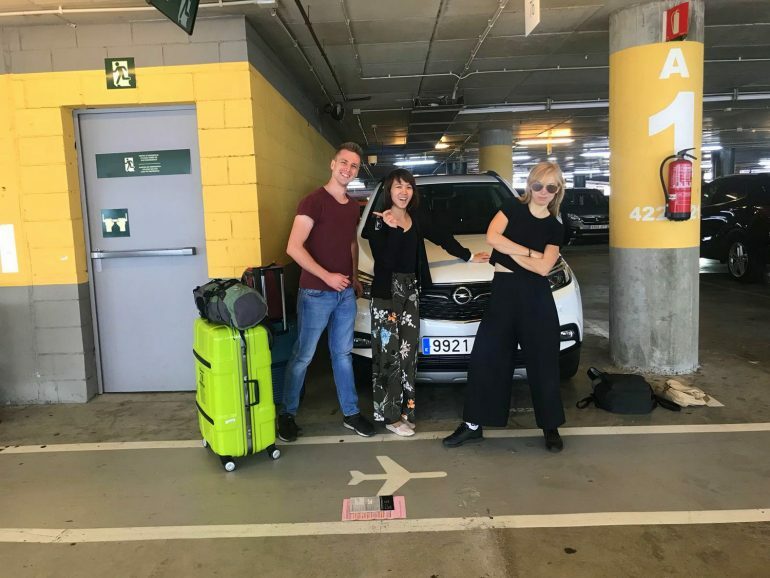 Too cool for School – this is how car hire makes us feel. Ride-sharing is popular, and websites like BlahBlahCar are proving extremely useful for getting around the country, not to mention being budget friendly. However, we’re going to suggest something slightly controversial for a “money saving” post. Hiring a car. OK, just hear us out! While you might not ordinarily think car hire is budget friendly, it can actually save you time, hassle, stress and – most importantly – money in the long run. We picked up a cheap option from Barcelona airport, and we were free to go where we pleased, when we pleased, how we pleased. Of course, if you’re travelling solo it might not be advisable, but if there’s a group of you it makes perfect sense for you to all chip in. The convenience and peace of mind it affords is almost priceless, while the ability to pick up a week’s shopping at a grocery store is a godsend too! Also, getting out of the cities will save you a packet, and having the ability to do it with ease and at your convenience is not to be sniffed at. You’ll thank us later! That brings us nicely to food. In Spain, it can get extremely pricey eating out – especially for dinner. With the (justified) expense of a car hire, we could visit the best supermarkets and load up on groceries for the week. Are you a big fun of Spanish cuisine? Locals tend to eat a small breakfast and big lunch to see them through the day, and you can’t get a better tip than that. Stay away from the a la carte – you’ll nearly always find a set lunch menu for cheaper eats. Tap water is perfectly safe to drink across the country, so don’t be tempted to buy the stuff in bottles. You’ll be using less plastic too – and we like that! When travelling anywhere, it’s the cost of accommodation that is likely to tear holes in your pockets and bleed you dry faster than anything else. Hostels are reasonably priced, but our pick would be to use a site like Airbnb or a local, specialist equivalent. Much like the car hire, accommodation costs are significantly reduced when you’re sharing with friends, even if one of you needs to sleep in the bathtub! A problem shared is a problem halved after all! 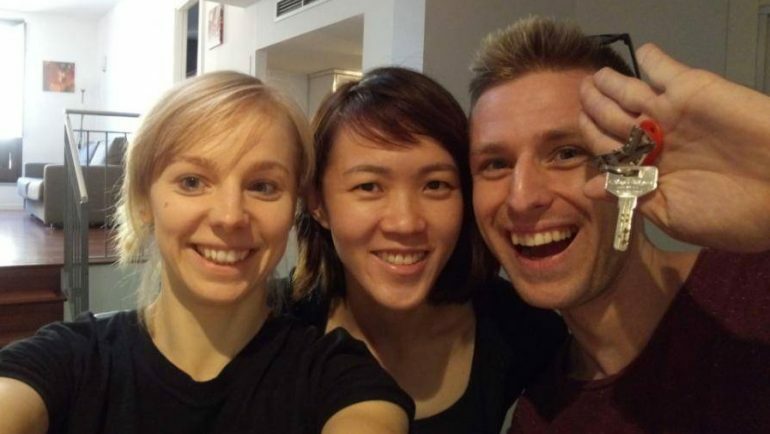 Flat sharing with Lydia – it’s going to be just like an episode of Friends! Staying in someone’s apartment is much cheaper than using hotels or resorts, and it brings with it the added (and budget-friendly) bonus of a kitchen. Having all that food isn’t going to be of any use unless you’ve got somewhere to cook it, which is why sharing an apartment with such a facility makes perfect sense. We understand it might not be for everyone but trust us when we say it’s the way forward for booking holidays in the future. Couchsurfing is a viable option in these parts too and has long been championed in Spain as a genuinely safe and legitimate sleeping option. Failing that, go back to basics and stick a tent in the boot of your vehicle. Luxury with the transport, slumming it with the accommodation. Perfect! Exploring the beautiful countryside is free! Discount cards are available for exploring the likes of Barcelona and Madrid – but they’re only really beneficial if you intend to pack a lot in during one day to get your money’s worth. They’re especially useful if, like us, you’re going to be spending an extended period of time in one place, but most backpackers will rarely bother with them. It deserves to be mentioned that the time you decide to visit Spain (or anywhere for that matter) can dramatically impact your costs. Consider visiting in the offseason to get the very best deals, with the added bonus of having the place all to yourself. Winter is a great time to go – especially if you’re not one for humid temperatures but you still want a bit of sun. As with any money saving venture, thinking outside the box will ensure you don’t throw your cash down the drain. And one final tip – enjoy the siesta. You can’t spend money while you’re asleep, can you?! Do you have any budget holiday tips for Spain? Let us know what we’ve missed!